Flash Player is dead. Its time has passed. It's buggy. It crashes a lot. It requires constant security updates. It doesn't work on most mobile devices. It's a fossil, left over from the era of closed standards and unilateral corporate control of web technology. Websites that rely on Flash present a completely inconsistent (and often unusable) experience for fast-growing percentage of the users who don't use a desktop browser. It introduces some scary security and privacy issues by way of Flash cookies. 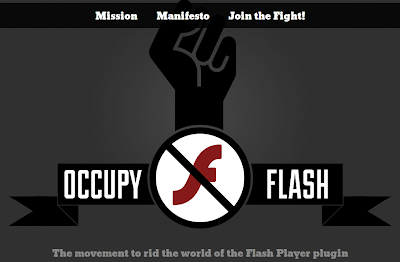 Flash makes the web less accessible. At this point, it's holding back the web. The only way to truly force the web to embrace modern open standards is to invalidate old technology. Support for Flash for smartphones, tablets and other handheld devices was discontinued few days back and many experts have predicted that Flash on desktop will also die slowly. 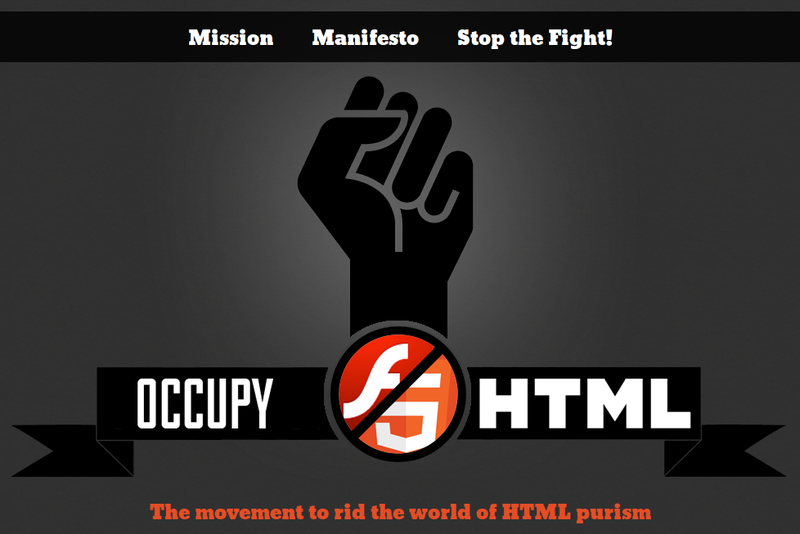 There is another group of Flash developers that is not happy with this campaign and as a counterattack launched Occupy HTML campaign. Flash is mature. It's supported by all major desktop browsers. It's stable when used properly. If not, it crashes a lot, just like every other technology. It requires constant security updates, just like every other web technology. It doesn't work well on most mobile devices, and for good reasons. It's a content plugin, developed during the era of closed standards and unilateral corporate control of web technology. Websites that rely on Flash can present a unique (and often unparalleled) experience for the massive percentage of users on a desktop browser. Flash powers some amazing experiences that work consistently across all of the major browsers in a way that cannot be replicated without Flash technology. Championing simplistic statements regarding web technologies makes the web less educated. At this point, it's holding back the web. These campaigns are making waves across the web are being featured on many news sites. But not many people are amused and are really furious that these kind of silly campaigns are not only useless but also abuses the larger and more important Occupy Movement that is currently going on in U.S, by using their name. The general tone around the web is that both Flash and HTML5 have their uses and contesting them against each other is absolutely unnecessary and unfortunate. As far as Linux is concerned, Flash support is not as good as other platforms but it has certainly improved greatly over the years and 64bit support was added recently as well. Still there are lots of problems like frequent crashes and CPU hogging. 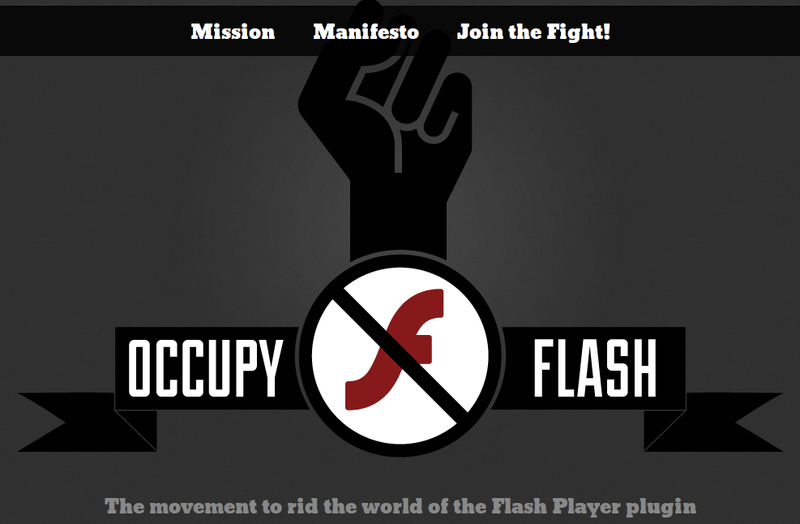 Ironically, the Occupy Flash campaign does not even list Linux as a platform for Flash and provide uninstallation instructions for Windows and Mac only.